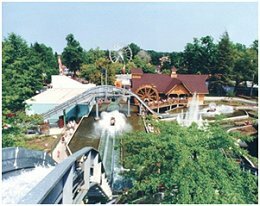 Waldameer & Water World, located at 220 Peninsula Drive in Erie, Pennsylvania, entertains families with over 75 rides, slides, and attractions. Nestled on the shores of Lake Erie, Waldameer offers free parking, free admission, and plenty of family fun, combining historic charm with modern entertainment and attractions. Give your family tons of fun and excitement at this safe, clean, and affordable park. You’ll find thrilling rides and family classics, plus some awesome rides for the little ones! Then there’s Water World – a whole waterpark full of wet n’ wild fun for everyone including the largest wave pool in the tri-state area. And for 2016, visit the all new Kidz Zone, with eight new slides for the little ones plus a spray pad with over 30 interactive water features. Check out challenging midway games, tasty summertime foods, and enjoy great free entertainment with three musical shows daily at the Showtime Theatre. Waldameer & Water World is clean, safe, and just the right size for your family. 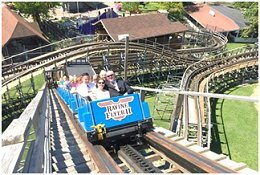 It is home to the Ravine Flyer II Coaster, voted the 7th Best Wood Coaster in the World. Find scores of amusement rides, magnificent waterslides, live shows, midway and arcade games, refreshment stands, gift shops, and numerous picnic pavilions all surrounded by gorgeous landscaping.